Aim High, Learn to Fly! Citing the growing shortage of pilots over the next few years, the Army and Navy Academy is launching a four-year aviation training program in the 2018-19 school year, designed to stimulate interest in an aviation career for the high-school age Cadets and prepare them to pursue further training after graduating. The University of California-approved Warrior Aviation Course (WAC) will connect aviation and aeronautics, science, technology, engineering, and mathematics (STEM) courses with other core subject curriculum to prepare Cadets for future careers as certified pilots of commercial and military aircraft as well as Unmanned Aerial Vehicles or drones. Cadets will also receive college credits to help them pursue aviation at a four-year college or university. 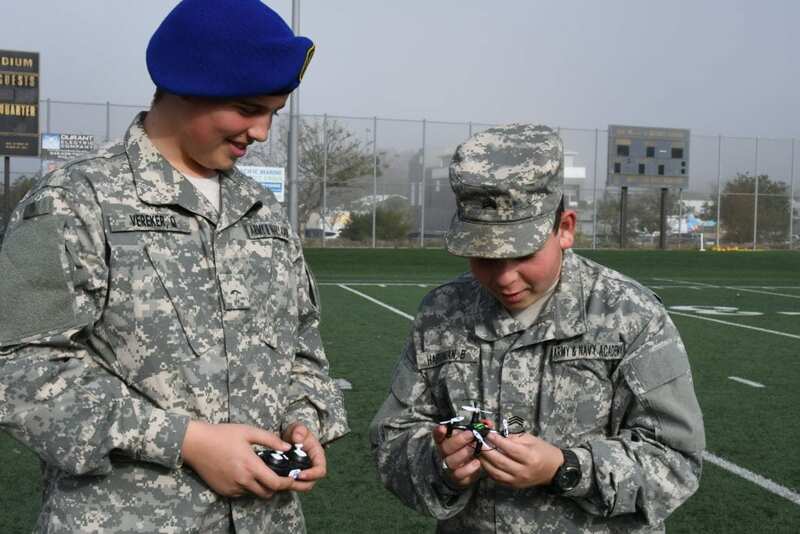 In our program, the Cadets will receive a challenging and exciting learning experience in the fields of aviation and aeronautics, will meet and hear from guest lecturers from the field, will work with flight simulators, and will take frequent trips around the area to areas such as the Miramar Air Show and the San Diego Air and Space Museum. Cadets enrolled in this four-year program will learn about different aspects of flight, aviation, and aerospace from a certified pilot and instructor. The course will provide Cadets with a comprehensive curriculum and ground school on scientific theory and practice, with the ultimate goal of passing the FAA Private Pilot Exam. This course will serve as a prerequisite for the Instrument Pilot course. 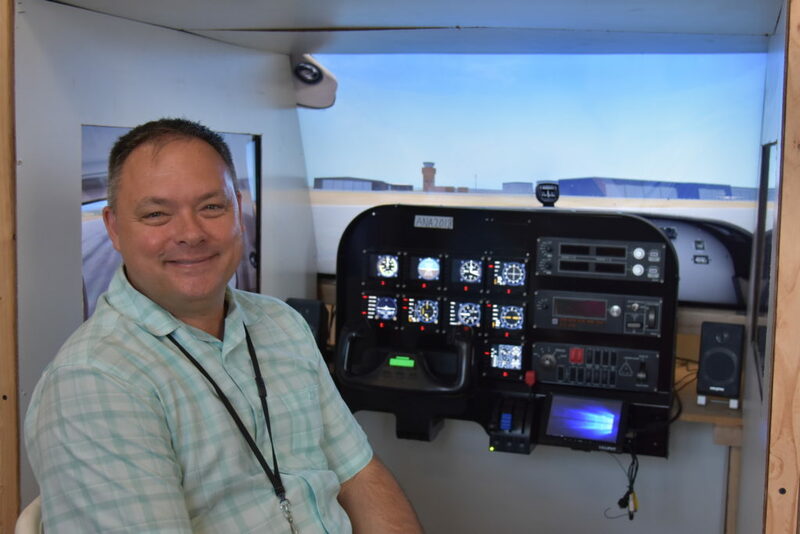 “There currently is a major shortage of pilots around the world with estimates that 255,000 new pilots will be needed by 2027,” said Ethan Segovia, Dean of Academics. “The U.S. will need an average of 70 new pilots per day to overcome the rapid rate at which current pilots are and will be retiring. There will be tremendous career opportunities for those interested in aviation,” he said. By enrolling your Cadet in our Warrior Aviation Program, you are guaranteeing him a head start on the path to a very successful college experience and future career. Cadets will not only be prepared to take and pass the Private Pilot written exam, but will be thoroughly prepared for college, future leadership roles, and a possible career in the Aviation sector. Completion of the course should also ultimately lead to Cadet’s earning their Pilot’s Pilot License. Additional information on the Warrior Aviation Course is available by contacting Dean of Academics Ethan Segovia at esegovia@armyandnavyacademy.org. Check out the article in The Coast News about the Aviation Program! Kevin Moss spent 22 years in aviation in the Marines including commander of the Marine Heavy Helicopter Squadron 462 in Iraq from 2007-08. He was solely responsible for the leadership, training, mission effectiveness, and maintenance readiness of a combat-deployed heavy lift helicopter squadron consisting of 325 Marines and Sailors and 18 CH-53E helicopters. He deployed squadron to support combat operations in OPERATION IRAQI FREEDOM and delivered all Marines and Sailors safely back to their families. Moss has over 2600 hours of flight time garnered in the Fleet Marine Force and has experience as a Weapons & Tactics Instructor, Night Systems Instructor, Defensive Maneuvers Instructor, Instrument Instructor, Navy Air Training and Operating Procedures Standardization Instructor, and Maintenance Functional Check Instructor. He also worked as an Adjunct Instructor at the Expeditionary Warfare School at USMC College of Distance Education & Training. Expeditionary Warfare School educates and trains company-grade officers to prepare them mentally, morally, and physically for billets of increased leadership across the Marine Corps and Joint Force.